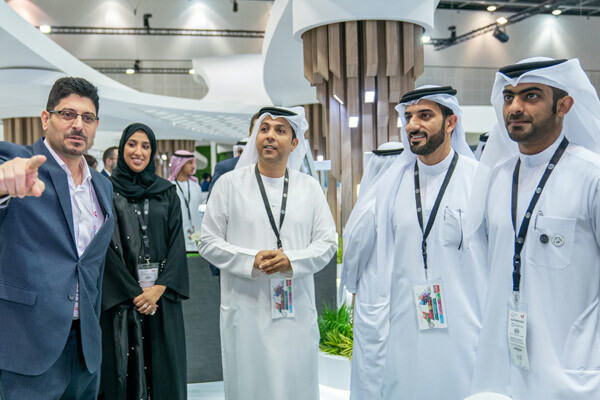 Sharjah Media Council (SMC) has launched a first-of-its-kind media platform at the ongoing ‘Gitex Technology Week’ in Dubai. The new platform, that works through an electronic cloud, helps control media content, archive images and monitor news across various networks. The importance of this platform lies in its consolidation of the essentials of media work in Sharjah, which is keen to build world-class media competencies and unify media discourse, as well as to promote constructive interaction with the media sector in and outside the country, remarked SMC Chairman Sheikh Sultan bin Ahmed Al Qasimi. “The Smart Media Platform is unique for its use of Artificial Intelligence (AI), assisting Sharjah in its quest to lead and manage the future media. This aligns with the outlook of the UAE, which constitutes an example in utilising Artificial Intelligence,” stated Sheikh Sultan. He pointed out that Sharjah had initiated a number of projects and plans in recent times as part of the vision of HH the Ruler of Sharjah in order to boost the media presence and narrative of the emirate. Tariq Saeed Allay, the director of the Sharjah Government Media Bureau, said that the Smart Media Platform works through an electronic cloud, helping one professionally and objectively monitor and analyse content in both the traditional and digital media as well as social media. The new media platform will help unify the focus of news and media reports produced by various government entities and departments in the Emirate and will ensure the quality of media content as well as speedy resolution of any media crises, he noted. Allay pointed out that the SMC platform saves time and money as it offers information in real time on any issue and developing issue in the media. All results would be saved in the standard databases of the Government of Sharjah. The action plan includes the development of an administrative technical system in accordance with a unified media and editorial policy. The first phase of the project involves the provision of smart and interactive media tools by the SGMB, followed by other government entities, towards total readiness for the management of media content and government communication.